Why is there nothing as practical as a good theory? Why do I mention annoyingly named theories like “Ascending from the Abstract to the Concrete” or Engestrom’s Learning by Expansion? Am I playing, look what I know? No, two reasons require such specificity. The first is the gravity of what I have been explaining on this blog. As an avid reader, I get that these truths sound a bit like the plot to a B-Grade thriller. But sometimes the truth really does trump the acceptable storylines of even an imaginative fiction writer. Trust me, you are not the only one with an “Are you kidding me?” response to all these revelations. Especially how all these links to Soviet pedagogy and psychology and philosophy just keep appearing. Since that is not what I am looking for, the constant appearances must have something to do with creating a consciousness in the West useful to those who want to keep and expand political power. More importantly though is the second reason. A theory can get included in the coursework of a college or university where it affects the beliefs of people who in turn mold the minds of the next generation. You may have guessed I had one of those old-fashioned, first-rate, liberal arts educations. And I loved it. Well, maybe not Aristotle so much or Spinoza but all in all it was broad and deep and gave me a solid base in adult life for recognizing when I am reading a false explanation. A faulty argument. A pre-arranged set of facts to bolster a case that actually was not supported in the least. But the typical college student now or teacher or principal in graduate programs or professional development are much less likely to recognize they are dealing with a theory that just isn’t so. Theories allow widespread collaboration in pursuing radical social, political, and economic change without most of the participants recognizing the actual intent behind the theory. You thus can get a widespread organized implementation without much of an actual conspiracy. Darn useful especially when all this is essentially going on an taxpayer expense. 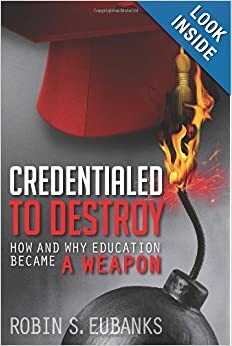 So no teacher or principal or even the mendacious supers being inflicted on too many school districts is likely to have studied Soviet Philosopher, Evald Ilyenkov, or why the Soviets created Developmental Instruction after Stalin’s death. Ilyenkov’s reimagining of Dialectical Materialism through his Ascending Theory and his idea of “theoretically guided education” that would “teach children to think” comes in through activity theory and making Understandings the focus of the classroom and assessment. No further need to know where the theory came from. Or even that it is a theory designed not to reflect reality but to change it. But the purpose for the creation of the theory still matters even if it remains widely unknown. Well until this and earlier posts. But it matters that the Professor most identified with Cultural-Historical Activity Theory in the US, Michael Cole, who worked with Engestrom at UC-San Diego, wrote the Preface for Ilyenkov’s classic activity theory book when it was republished in English in February 2009. Interesting timing. Getting ready for what implementation in the US? Not to be too nerdy but Vygotsky and his followers want to emphasize human experience. Being interested in radical social change, they recognized that there are two planes involved. What actually happened and the perception of it. So if what goes on in the classroom can alter or, even better, create an “internal cognitive schematization” in the student’s belief system, you can permanently (that’s the hope) affect how the student filters their daily life. And thus their future behavior. “Traditional education was essentially retrospective. The universal model and the cultural tradition were givens, and the task of a student was to absorb this tradition and the intellectual tools associated with it. Thus a student was taught to deal with problems that reproduced past cultural patterns. Under the dynamic conditions of modernity [another theory by the way] the necessity for prospective, rather than retrospective, education became obvious [but conveniently omitted from any PR campaign for reforms]. Quite a different view of knowledge and likely to be very controversial if widely known. So that fundamental shift in the nature of education and the Soviet inspired developmental focus gets hidden under euphemisms like “higher order skills” and “21st Century Skills.” Or just “Critical Thinking” with the typical parent or taxpayer thinking analytical within the realm of existing and still highly useful relevant facts. But that would be reproductive of the existing social and economic order and thus not allowed. But being honest that “critical thinking” in the Enlightenment sense “stops right at the point where it touches all those problems of a capitalist society” that need to be reexamined in a new light and with new theories, could very well derail the hopes of developing “alternative prospects for humankind.” Through education. “fostering critical ability with the aim of radical social change is equivalent to fostering dialectical thinking.” I am not going to weave you in and out of this Periklis Pavlidis essay further except to say it tells its tale through Ascending from the Abstract to the Concrete. By name. Making it much easier to spot whatever it is calling itself. Which brings us back to all the presentations Lynn Erickson has been doing all over the world explaining her “Enduring Understandings” to IB audiences. She is now being quoted in Texas for CScope training and in many other state DOEs as they prepare to implement the Common Core. The quote from her I took from a 2009 Georgia Social Studies Presentation is pretty representative: “Trying to teach in the 21st century without conceptual schema for knowledge is like trying to build a house without a blueprint.” Except what made me a good student was my ability to come up with my own conceptual understandings from the facts. Here the Enduring Understandings get assigned and put up on a Concept Wall in the classroom. The purpose of facts is now merely to illustrate that Enduring Understanding. And the purpose of that Concept Wall is to help students to see the relationships among concepts. And to get there the teachers are to ask Essential Questions. And the students are to copy down those Essential Questions and Enduring Understandings. “A smaller version for their notebooks” is what the powerpoint said. All of this does look much like Understanding By Design as well which also relies heavily on those Essential Questions. And UbD, Understandings of Consequence, and Enduring Understandings all function as the guiding theories in the sense Ilyenkov intended as a means of changing consciousness when he first developed Ascending from the Abstract to the Concrete. And as nerdy as all these names sound they all have a common purpose, wherever they are being pushed and whether the speaker is aware of the actual intent or not. That’s why the theories created are transferable “through time and across cultures” as Erickson describes it. They are theories for social change or imagining a radically different social reality. They are productive education as Psychological Tools described above. And quite hidden until you know the authors and the terms and then they are everywhere. Very much a part of the planned implementations. If not already in use. But I for one beg to differ on whether this will be productive. Unless you are being paid to push it. In October 1997 the lead professors in what became the Understandings of Consequence (UoC) Project and RECAST work on restructuring students’ assumptions on causation wrote a very interesting piece called “Teaching Intelligence.” Published in the American Psychologist, it laid out the CORE vision of what precisely needs to be reorganized. I am going to show how the reorganization goals dovetail with aspects of the Common Core implementation I have already mentioned. And the CORE Cognitive Reorganization is Transdisciplinary. It is not the content of the disciplines to be learned anymore but the opportunities disciplines like history or science provide to create dissonance and mediation. CORE recognizes that “reorganization is most likely when learners become aware of the strengths and problems of their current beliefs, understandings, and thinking patterns.” Just what we all send children to school to have go on. And then barely six months later the first of the listed UoC NSF funded projects began. Called “The Challenge of Developing Systems Thinkers: How Misconceptions About Complex Causality Contribute to Fundamental Problems in Scientific Learning,” it was headed up by Perkins and Grotzer. It leads to the current UoC work described in the previous post. Now for all of you who are finding this damning so far but wondering what this has to do with leaving food out of the refrigerator, I did not mean that kind of spoliation. I am using the term as what the Italians called spogliazione. But then European countries that remember feudalism and absolutist rulers like Napoleon have understood state directed plundering of the productive classes for centuries. And they call it Spoliation. And talking about it for a minute using quotes from across the Atlantic and across the centuries should go a long way towards answering that Number 1 most asked question when reading my posts: “But why? What a waste.” Indeed. Spoliation and with lots of precedent. For that reason, there has always been a battle throughout history between “privilege, secret interest, political advantage, everything that is capable of coveting”–what we today call rent-seekers and the great mass of consumers and taxpayers who pay the bills and have no lobbyists in DC or the state capitol. That’s not an anti-government rant but a historical observation. And quite relevant to what is being sought now in the 21st century in the name of education. Thinking is being reorganized and false beliefs are being fostered precisely to gain people who either will not notice manipulation or who will regard it as necessary in pursuit of a greater goal or averting a supposed catastrophe. It is in that light I want to give you a heads up that RECAST and CORE are very much a part of an organized effort to supposedly shift humanity away from a selfish philosophy of knowledge to a so-called altruistic philosophy of wisdom. No of course nobody told us since we might have objected. Laid out by UK professor, Nicholas Maxwell, in his 1984 book From Knowledge to Wisdom: A Revolution in the Aims & Methods of Science the philosophy of wisdom stance can be clearly seen in Common Core’s push that curricula and assessments be about solving real world problems. It is very much in line with what we saw in the Appreciative Inquiry posts. Under the philosophy of wisdom, education must “give absolute intellectual priority to our life and its problems, to the mystery of what is of value, actually and potentially, in existence, and to the problems of how what is of value is to be realized.” Which of course, individuals cannot accomplish alone. They will need public policy to aid them in “cooperatively solving” the “common problems of living.” It’s no accident that in the back of the book Maxwell cites groups interested in the social responsibility of science as supporting the philosophy of wisdom. And the environmentalists. And something called Science in a Social Context. And UNESCO. This is a rent-seekers dream and very much consistent with one of Uncle Karl’s best known quotes which Maxwell cites approvingly: “The philosophers have only interpreted the world, in various ways; the point, however, is to change it.” The philosophy of wisdom does that even when it is going by other names. Which gets us back to CORE and RECAST. I don’t think it is coincidental that Maxwell cites John Dewey as a major devotee of pushing the synthesis he called the philosophy of wisdom. Nor do I think it is coincidental that what CORE and RECAST are getting at is what the 1971 book Inquiring Man called a radical new idea. Where “educational growth is not the accumulation of more and more pieces of information, but the development of an increasingly complex structure for organizing and inter-relating ideas.” Doesn’t that sound familiar? Like being a Systems Thinker? Or seeing race and class oppression as causes of any dissimilarity in life circumstances? What Thinking Intelligence described as “helping learners reorganize their thinking around a more powerful pattern.” Pre-supplied by the ever helpful teacher seeking “transfer” through “thorough practice with deliberately diverse cases.” In other words, nothing really in common except being told there is a causal relationship. Find one. Make it up. Negotiate with the rest of the class for possibilities. Learn to think through abstractions NOT grounded in facts. Ascend from the Abstract to the Concrete of everyday life. Strategies “reorganize thinking by providing patterns to follow that work against the defaults.” Like complex causation and systems thinking in general. Dispositions “emanate in part from underlying beliefs.” Well luckily there has been no organized attempts to foster any false beliefs. The paper then cites Vygotskyian scholar Carol Dweck without pointing out whose work she is so fond of. Today she is better known for her work on Growth Mindsets and Fixed Mindsets. Her books and passages are not only being assigned to teachers but I know for a fact they have been assigned in Honors English classes this school year. Of course the Chair of that English Department had a newly minted Masters from a Vygotskyian-oriented program so that may explain the determination to move fast. Thinking dispositions “consist of both sensitivity and inclination.” They are what John Dewey called “habits of thought” and they reorganize thinking “through the sensitivity to detect occasions that call for a particular pattern of thinking and the inclination to follow through.” Again all this in an environment where teachers are not to teach factual content. And being told you have a fixed mindset at a tender age seems like such an insult. Must change. All of this is designed to force students to see the world not as it is. But as people with a political agenda for education, who actively seek to transform society to cause a shift to a centrally planned economy premised in a welfare state/ social citizenship structure, wish the students and future voters to see the world. All going on at the same time Europe is coming to grips with the perverse incentives and financial Unsustainability of so many of the programs this type of education was intended to promote. None of which is part of the sales pitch for the Common Core or its continuing propaganda campaign. I guess everyone is hoping that the Cognitive Reorganization in enough voters will be a done deal before enough people grasp what has happened. And by then it will be too late. A West that couples low information voters to voters who live at the expense of the State and then adds voters who have undergone years of this ideological reorganizing of thought patterns will be dysfunctional at virtually every level. And every bit as toxic as the spoliation that occurs without refrigeration. Dialectic is such an off-putting word that it is easy to ignore what it is trying to say about a desired vision for how the world ought to work in the future. Especially if you are a political radical hoping for a reason to push transformation. Before the Enlightenment and especially before Darwin published his views of a spontaneous, non-directed biological evolution, both philosophy and religion had developed ways to see the world as a whole. All aspects of it–human, natural, and divine–as related together in an orderly way. The common term used for that all-encompassing vision is a cosmology. When I read Engestrom’s desire to get back to seeing the world in terms of systemic causal relationships–Ascending from the Abstract to the Concrete– where none actually exist, I saw that desire to reorder the nature of the world back into a cosmology view. Without saying so. I saw the same intent in that Rand report mentioned in the last post encouraging students to come up with broad principles from isolated facts. We are really in the realm of belief here, not knowledge. The difference between me and another commentator on that clearly designed to be globally influential Rand report is that when I read the grey box blurb on “Correcting Misconceptions about Complex Causality” I immediately recognized I was reading BS. I had read too much disdain for seeing the world in terms of factual and linear, cause and effect relationships to not be suspicious that somehow it was perfectly permissible to think in terms of causality with the so-called ecosystem. Moreover, I recognized that drive for a holistic view of the world because a few weeks ago I read a 1982 book called The Return to Cosmology: Postmodern Science and the Theology of Nature. Written by Stephen Toulmin, it was the source of the Koestler example in the last post. Toulmin wanted very much for our now 21st century humanity to rethink its place as independent of nature. In fact, by the early 80s he viewed a first “movement toward a revival of ‘natural religion,’ and a reunion of science with ‘natural theology,’ is already underway, though not necessarily under explicitly theological colors. The traditional issues of natural religion are forcing themselves on public attention, though under other names.” The commentators who have remarked over the years that the theory of Catastrophic Manmade Climate Change behaves more like a religion than science might well want to consider Toulmin’s insider observation of what was going on. It’s on page 261. The problem though is it now comes in as Engestrom’s Theory of Expansion basically whitewashing these old Soviet and Eastern European systemic political theories. Or via the current NSF funded Understandings of Consequence Project being run by Project Zero at Harvard. Which is where searching the names in the footnoted Misconceptions of Complex Causality support took me. Tina A Grotzer and Belinda Bell Basca to be more precise than what the Rand report provided. I think they thought a footnote should suffice to take their word that the assertion was true. No, I actually located their “How does grasping the underlying causal structures of ecosystems impact students’ understanding?” that dated back to a conference from 2000. Hmm, that would be the last go around at US comprehensive radical ed reform. Back when the rest of the world moved ahead of us in gutting the transmission of knowledge as too individualistic. And not apt to a world in flux. I got to read about RECAST–REvealing CAusal STructure. Structure of course being another name for seeing the world systemically and looking for relationships among things instead of individual characteristics. And I thought of how useful RECAST would be to an education reformer wishing to create widespread and influential misconceptions about how the world works. Just how useful it would be to get at and impact “how we frame experience or information.” To be able to provide “a flexible repertoire of models that [students] understand how to map to relevant occasions.” Tracy Benson of the Waters Foundation did say in print that Systems Thinking was about controlling personal behavior. That would do it and it would be quite invisible. Then I followed up on the related idea of EcoMUVE–Advancing Ecosystems Science Education via Situated Collaborative Learning in Multi-User Virtual Environments” which of course is the gaming like River City we have already encountered in posts like this one http://www.invisibleserfscollar.com/students-must-see-themselves-as-active-participants-in-social-change-and-designers-of-social-futures/ . And I saw that NSF sponsorship of Understandings of Consequence and language asking me–“What inherent default assumptions do humans make that influence how we reason about complexity in the world?” Well, quite honestly, most people cannot very well because they are actually not too good with abstractions. So they will simply have to take the concepts as provided and use them as instructed. Toulmin even described how French biologist, Francois Jacob, and his attempt at Biological Structuralism, was dealing with “cultural and social integrons” that are unfortunately not sufficiently systemic in the way he desires. So, Toulmin noted wistfully, talking of systems in “politics, culture, and society” does not change the non-causal, non-systemic nature. It’s just a case of bad analogizing to develop a theory to get desired results in human behavior. Something Paul Ehrlich has said he is still doing with IHDP. In fact he says we are more than five years into the global transformation affiliated with the UN. How to get there? Well, let’s face it, what is the likelihood of a non-footnote detective reading Toulmin? Slim so the analogy to physical systems should stand for most teachers and students and the general population. Just mention “the Second Law of Thermodynamics says” and they will listen. Totally unaware it is NOT a Law of the Universe but a universal law that ONLY applies to a ‘thermally isolated’ system, which is one that “is shielded against all interchanges of heat with bodies outside itself.” Used elsewhere Toulmin said you are trying to use science to argue philosophy. Without admitting that is what is happening. The year after Toulmin’s book the theories to repair the damage to the wonderful usefulness of inapt analogies and false beliefs to generate Social Transformation began anew with the publication of “Structure-Mapping: A Theoretical Framework for Analogy” by Psych Prof Dedre Gentner. Those of you who have always wondered precisely what higher-order thinking in these assessments such as STAAR in Texas or the OECD’s PISA should realize that “structural analysis=higher order relations.” The idea in all this developing analogizing work is for a student to take what that have been taught about complex causal relations and apply it to a previously untaught area without a clear solution. Where again it would be inapt but would any student be in a position to know that? Reading through all the Understandings of Consequences classroom projects and what is sought by NSF and what is in that Rand report and Engestrom’s Learning by Expansion, it is very difficult NOT to see all these so-called education reforms as designed to get students to believe and then feel compelled to act on things that very well may not be true. Back to cosmology without saying so. Back to people needing direction without pointing out that is the intent of the reforms. What happens in a world when so much of what is believed is not so? And so much of what is important is no longer widely known? Supposedly for the better which is why the initiative is called Positive Psychology to sound inspirational. But citing back to Abraham Maslow and Carl Rodgers’ work as foundational makes this push about more than instilling good work habits and hope. This Organizational Development (OD) push, that Appreciative Inquiry from the last post and systems thinking a la the higher profile Peter Senge and Otto Scharmer are an intrinsic part of, plans to act on the theory that human beings can be changed for the better. Globally but especially the US. And it fully intends to try using the Global Quest for Educational Excellence and all those poorly understood international tests like PISA and TIMSS as the drivers of change. While you are thinking it’s about finally getting more knowledgeable students who are better at reading or math, these taxpayer funded visionaries have figured out how to also use Positive Behavior Interventions and Positive School Climate Executive Orders and data collection around Student Growth to drive continuous improvement toward “inspiring and shared moral purposes.” How very communitarian. And before you get excited about the economic dynamism aspect during this Great Recession you should know it is premised on the idea that “going green might well become the biggest business opportunity of the twenty-first century.” Or not as all those bankruptcies from ventures like Fisker and Solyndra that got tax dollars in the 2009 Stimulus Act should show. Oh, I don’t know about that. An individual mind can be quite intrepid which is truthfully the whole problem with the old transmission of knowledge curriculum. It’s the real reason it must be jettisoned in the 21st century. None of these people want herd-defying individuals figuring things out without authorization or creating world-altering technology breakthroughs without permission. So they take Uncle Karl’s human development theory and give it a new disguise that sounds inspiring. http://www.invisibleserfscollar.com/who-knew-karl-marx-had-a-human-development-model-or-that-it-fit-our-facts-so-well/ . 1. That special spirit of inquiry [they do love italics for emphasis] that seeks “to learn, experiment, seek feedback and build shared understanding through dialogue and open exploration of things that may never have been collectively explored.” How expensive and unproductive if simply based on the feelings of deliberately created Know-Nothings. Next. 2. The collaborative design of the future. Now this impossibility is based on the very accurate observation that “people build their commitment to change in direct proportion to the degree that they are actively engaged in designing the change.” Which is why you are unlikely to get the PTA President or members of your local School Council to listen to you when you point out, for example, that Spence Rogers’ own books cite Mao as a good example of leadership and that makes him a poor choice for teacher professional development. The collaboration also primes all participants for the “assumed centrality of interdependence in organizational life” to force recognition that it is “the quality of the relationships, the processes–how the relationships give or deplete life” that make a human system work. No wonder relationships are one of the new 3 R’s along with Relevance and the imaginative Rigor [think of that Spirit of Inquiry above as what Rigor is really about]. Should it trouble us that the World Economic Forum just put out a report on creating the 21st century economy around ICT and Big Data? Coincidences surely abound these days. Say what? Did that title make you want to clean your glasses or bop yourself gently to make sure you are reading correctly? Yup, welcome to the world of communications among powerful decision makers that you don’t see but that are designed to both affect what is coming to classrooms. And to redesign the future. All of ours. Without consent. All based on the disputable idea that is not being shared with you–the idea that “human beings and their institutions could be changed for the better.” Can they? History tells us that a wholesale restructuring of a social system that evolved over time is a terrible idea and that incremental change is the way to go because effects of changes can then be seen and evaluated. But then those systems never had the opportunity to hire as a consultant someone who is a thought leader in Appreciative Inquiry or a research associate for the Center for Business as an Agent of World Benefit. Much less the Co-chair of the 2009 World Appreciative Inquiry Conference held in Kathmandu, Nepal. Did they do any climbing do you think or just embrace the joys of human potential while traveling at someone else’s expense? Do Not Know but I pulled that description off a presentation the Taos Institute did for the Houston Schools in 2009 called “Healthy Kids, Healthy Schools: Leveraging the Power of Our Community.” It was to be a national model and brought together a broad range of city stakeholders to chart a new course. I am thinking this AI Whole System approach that puts “future scenarios” into HISTORICAL and GLOBAL perspective (their bolding and caps) so students and adults have “shared understanding and great commitment to act” is going to come in so handy with the Green Urban Economy and Regionalism commitment of a redesigned future from our last two posts. So good to know GCI will be coming to Houston in May where leaders, employees, and students have had AI training to engage in a “collaborative search to identify and understand the organization’s strengths, the greatest opportunities, and people’s aspirations and hopes for the future.” All reimagining paid for with contributions and Stimulus dollars and lots of public debt and now new visions for federal revenue sharing. Free to use the AI 4D Model of Dream, Design, Deployment, and Discover which is not a model anyone would use on their own dime or intentionally with their own kids. As I have said before, with 40% of all federal spending currently being borrowed, what happens to all these Pie in the Sky Schemes to reimagine a Future by targeting kids consciousness when they become adults who firmly believe just as cultivated and monitored? But no one actually knows much or can do much but collaborate and want someone to provide for them what they have been led to expect is their due? Can you really Create “Promising Futures through Social Construction” as associates of the Taos Institute are leading educators (and UN officials apparently) to believe? Let’s back up to how I got here because I do not go perusing school districts’ websites unless I have a reason. No, in yet another one of those troubling reports produced recently by the influential Gordon Commission on the Future of Assessment in American Education called “Social Epistemology and the Pragmatics of Assessment” I read many things I knew were factually untrue. Note to future schemers: Using Legal Theory to Create a Barrier to Criticism just comes across to me as proof of playing games. I also have a real problem with the idea that a professor whose psychological views of knowledge and social constructivist perspectives might be over the heads of those bright Swarthmore students (according to a debate in a newsletter online from about 10 years ago) are now being taught as fact to K-12 teachers for implementation on students as part of the Common Core reforms. As Kenneth Gergen said himself in his 2009 book Relational Being: Beyond Self and Community (that the title of this post came from), his views come from “an enormously important line of scholarship stemming from sociological and political theory” and that it is “especially important in its critique of liberal individualism.” Now elsewhere in his book Gergen mentioned advancing Marxian thought and the Frankfurt School (by name. Look up Lukacs, Adorno, Herbert Marcuse if you are not familiar. Need to move on). Which again raises the question. Why on earth would any free society with any aspirations for remaining free in the future be grounding their future educational practices and philosophies in what I would honestly describe as Individual Subjugation Theories? Again those views are his and Professor Ezekial J Dixon-Roman’s right to hold. But we get to understand those practices and beliefs for what they are. Designed to gain political, social, and economic transformation through the classroom by changing what students believe, value, and feel and drastically restricting what they actually know. Without our permission as a country or community or as parents. Without a vote. Under an invisibility cloak as I have called it. In his book Gergen said these educational practices that his Taos Institute calls Appreciative Inquiry are to “reflect, sustain, and advance productive forms of relational being.” We have talked about how the actual Common Core implementation teaching standards require a “student-centered classroom.” That shift from a “curriculum-centered education (drawing from the teacher’s knowledge base)” is necessary for a relational classroom. Where the focus is to be on “student capabilities,” not the transmission of knowledge to an individual. And who decides what the future will be like? We have already encountered another systems thinker and Organizational Learning specialist, Peter Senge, lay out his Regenerative Society and the related Capitalism 3.0. Professor Shoshana Zuboff has laid out her Distributed Capitalism within a Support Economy. We have profiled Harry Boyte’s vision of the cooperative commonwealth in a different post. All of these visions seem to fit with Professor Gergen’s views and preferences for our collective social future. But no one is asking us. They simply want us to provide our tax money and our children. Those without children will be getting employees in the future who expect the workplace to be reformed to fit their interests and capabilities. They have been told they will be consulted and collaboration is the key. At a living wage too. What if all this is wrong? Where will we be then with the expectations being baked in (or embedded as the ed profs love to say knowing it will be hard to detect what is going on) to education reform? To business school degrees? To public policy and urban study and psychology degrees? Under the new Lumina Diploma Qualifications Profile to all college degrees? I may not be able to stop the journey at this point. But I will describe the pathway and the real destinations. Since thankfully I somehow have managed to get my hands on the maps and blueprints while we have just begun. Most of the reporting I saw of last summer’s celebration of 20 years of Sustainability and Agenda 21 (so not an urban legend) at Rio de Janeiro viewed it as a failure because “no definitive agreement was reached.” Well while the world paying attention was breathing a sigh of relief at another bullet dodged, the ICLEI component of this UN-led Reorganize the World program at your expense launched a new initiative to clarify what Sustainable Development would mean in the future–the Green Urban Economy. Generally in Initial Caps just like that for emphasis. Now this is not the story I planned on doing today. That can stay in the holding pen until the weekend. This story was prompted by the very strange reaction locally to the criminal indictment using RICO of former Atlanta School Super, Beverly Hall. Something along the lines of “she’s not a mobster. It can’t merit RICO.” When lots of non-Mafia types have been pulled in through RICO over the years. http://blogs.ajc.com/get-schooled-blog/2013/04/02/criminal-indictment-of-beverly-hall-is-it-illegal-to-be-a-demanding-leader/ is an example of the kind of nonsense being peddled that it can’t be a RICO conspiracy. Now the idea that what Bev was up to was about being a demanding leader or having too high an expectation for minority students given the educational and psychological policies and practices APS was piloting for national (and international as you are about to see) implementation is preposterous. My experience is that that kind of preemptive “I am a lawyer and I read the indictment and this was no conspiracy meriting RICO” treatment gets pulled in when big bucks are at stake. And Atlanta’s business image. The good news Atlanta movers and shakers is I am about to make what is going on an Urban juggernaut and boondoggle connected to that reimagining of federal revenue sharing we talked about in the last post. Because while I was still fuming over that exculpatory blog post, I learned that the week before the indictment Bruce, the last post’s Race to the Shop, Katz had been back in Atlanta. http://www.invisibleserfscollar.com/protected-producers-vs-paying-consumerstaxpayerswho-will-prevail-on-education-and-the-economy/ is the post explaining the Low Carbon and punt consumer choice regional vision from last fall’s visit. Except this time he brought former Chicago mayor Richard Daley to pitch the Global Cities Initiative. A Joint Project of Brookings and JP Morgan Chase. Chase said its role was about its “longstanding commitment to investing in cities.” As a former corporate securities lawyer who has written her share of bond prospectuses, I am sure the prospect of underwriting fees from municipal bonds to finance infrastructure expansions plays no role. Purely altruistic. Which is why GCI began in 2012 with events in San Diego, Columbus, Tampa Bay, and Los Angeles. If you are in Texas, maybe you can make it to the GCI forum on May 15. Other 2013 opportunities are in Dallas, Denver, and Mexico City. Something else began in May 2012 that does seem related to this rebuild urban areas and insist everyone globally push the sociocultural model just like the urban schools. It’s called the Global Cities Education Network and its participating cities are Chicago, Denver, Hong Kong, Melbourne, Seattle, Seoul, Shanghai, Singapore, and Toronto. None of which are cities with any interest in an export economy of the type GCI is hyping. Seriously, the JP Morgan, Gates, Hewlett and Pearson Foundations are among the sponsors. So the profit parts bring in revenue from underwriting or selling technology and digital literacy or writing and grading those all important assessments and remaking urban America to be Green. While the “charitable” arms push the policies that control the next generation’s values and belief systems and their ability to think at all. And to invoke all this as being a matter of fairness to all and needed in light of the 50th anniversary of the Brown US Supreme Court decision on school desegregation (it is aboriginal rights being pushed in Oz by the way. Whatever pitch is needed) you get law review articles like “Toward Everyday Justice: On Demanding Equal Educational Opportunity in the New Civil Rights Era” by Mica Pollock. Now Mica is now an ed prof at UC San Diego and Harvard but she wrote that Ohio State Law Journal article that is ready to be cited in support of many a legally dubious practice to get it into place. Get it embedded into daily practice is how she describes it while our civil rights laws remain too focused on intent to discriminate. Instead of focusing on ANY harmful effects to a particular racial or ethnic group. Mica is an anthropologist, not a lawyer, by training with a PhD from Stanford. She is thus in a position to credential away future professors, teachers, and District School Supers and administrators committed to her vision of using schools to “transcend current legal tools” and really get to wholesale structural transformation. You just focus on changing the aggregate of ordinary daily practices and policies that might give some children benefits not available to others. All out of sight. All admittedly in violation of the actual statutory or case law. It’s not like anyone will ever know or those District Supers really have to answer to anyone in what they choose to push. And that’s how Equity and Equal Opportunity are bringing in sociocultural practices for all schools that the creators admit they based on USSR research. I don’t think it is coincidental Mica is now where Michael Cole and his Cultural-Historical Activity Theory (CHAT) set up shop after the Rockefeller Foundation stopped funding that type of psychological research. “New Knowledge that cannot be tied to any prior knowledge is not learned well or at all.” That means that what we would call book knowledge is off limits with an OTL focus because people have varying degrees of ability to take it in based on their prior life experiences. a/k/a homelife and parental education and financial resources. “For true and equal OTL, learners must all have the capacity to form the required representations [concepts, mental models] at the required degree of ‘power. '” Now since people differ in their ability to think abstractly, genuine abstractions like real Algebra or geometric proofs or even grammatical logic are all now off limits as a violation of OTL. If concepts or mental representations are needed, the kindly proprietors of an equity focus will supply them. Helps create consistency in beliefs too. No need to be skeptical and think there might be a political agenda that would make influential false beliefs or metaphors a temptation. Oh wait. We already did that post on Professor Donald Schon. A perfect opportunity to both level and change those beliefs that form the conscience that drives action. That can create a broader fundamental Transformation. Of everything. A New Vision for Federal Revenue Sharing with state and local governments to drive future economic and workforce development being cleverly marketed as “Race to the Shop.” That’s a play on the accompanying education vision that bribed or threatened the states to adopt the Common Core in the first place under the education Race to the Top set up in the 2009 Stimulus Act. Turns out that’s not all it set up, apparently it also set up a new Regional Race to the Top for all America’s regions (bold and Italics in original to show the excitement for this vision of shared prosperity based on a clean energy economy). In fact it’s to “be a truly ‘New’ New Deal, [but] government cannot go it alone, it can only serve as a key partner and catalyst.” With your redistributed tax dollars or public debt I would add. Now the historian in me would point out that’s not the subject of debates so much as lessons from the past about the sheer waste of public money that comes with an Industrial Policy. But I actually correctly pegged the education vision last May as related to Industrial Policy and a Dirigiste vision for the economy. http://www.invisibleserfscollar.com/didnt-adam-smith-write-a-book-explaining-why-this-is-a-bad-idea-back-in-1776/ and http://www.invisibleserfscollar.com/why-the-world-makes-far-more-sense-if-you-add-dirigisiste-to-the-things-you-understand/ . What I never in a million years suspected was that I would come across a report openly declaring it while stating “Obamism at its core is largely about bottom-up change rather than top-down change.” Wow, Harry Boyte must be pleased. Doesn’t that word “screen” sound like “excuse?” The reason for remaking the nature of the American economy and political structure all while engaging in Mind Arson in preschool, K-12, and higher ed? Whatever is necessary to make sure the designated providers in this 21st Century system get the workers they want while never again having to worry about a better product or invention upsetting their revenue dreams? And I genuinely wish urban areas and America’s Black Boys the best possible future they can have but tying it to economic redistribution while simultaneously trying to spread the bad education policies and practices that have destroyed urban systems to the suburbs just means OPM, Other Peoples Money, will run out sooner than this plan accounts for. It would be so much better to teach those Black Boys and everyone else’s children how to read properly and provide a solid curriculum like the Core Knowledge. You just cannot get me excited about what this Project 21 vision is going to do for Cleveland which is where the affiliated Nortech is based when I know the Cleveland Schools are pushing social and emotional learning in their classrooms as the vision of how all children can learn. You cannot push PATHS–Promoting Alternative Thinking Strategies–for all kids in all classrooms and then pretend that these urban kids are being left behind despite an academic focus. But that’s the poignant cry for what is wrong with our urban areas. And Project 21, which used to be known as the Black Innovation and Competitiveness Initiative, is the supposed answer to linking Urban America to the 21st Century Economy. Does this look like reparations to anyone else? Using the “low carbon project as the screen” as the Acceleration Agenda report put it. Whatever the rationale this gushing of federal dollars to launch public-private partnerships resulted in “Five Private-Sector Initiatives Launched at First White House Tech Inclusion Summit” held on January 31, 2013. http://www.whitehouse.gov/blog/2013/02/04/five-private-sector-initiatives-launched-first-white-house-tech-inclusion-summit . One of those, the Activate Local Communities Across America Initiative, picked Portland, Oregon to be its pilot city. That would be the same Portland that has been committed to cutting edge education pushes for decades. Discussed here http://www.invisibleserfscollar.com/now-more-than-five-years-into-an-attempt-to-help-organize-a-near-total-revision-of-human-behavior/ But Portland is also considered to be the shining star of the Urban Planning, Agenda 21, Regional Equity, and what is now called Metropolitanism movements. All based on a Low-Carbon Economy of the Future centered on Producers, not Consumers, the Brookings Institute’s Bruce Katz said at a breakfast I attended and also wrote about. Curiously Katz is also the coiner of that catchy expression Race to the Shop above to fit the manufacturing and workforce development component of all this planning and redistributing. Now I did not write this story because I wanted to rain on the race to the Green Gold Rush as a report called it. Although that does seem like a worthy venture. But this vision of new revenue sharing and dictates of where jobs must be, and everyone assuming that with credentials jobs will come, are all simultaneously destroying the actual knowledge and skills and freedoms and certainties that ignite real widespread prosperity. Given the percentage of the federal budget that represents borrowing, this redistributed money to build and pay off political coalitions does not really exist except as an obligation for future taxpayers. But in the meantime it really is going in someone’s pocket. Many of them campaign contributors at every level of government. Just like Solyndra. The money WILL run out and sooner than expected. And then where will we be? After all, mind arson is not just a provocative expression I came up with to stir up antipathy for the Common Core. It really does describe what has been deliberately going on in urban schools for decades. But with the actual Common Core I keep describing, and those new, poorly understood, assessments (also financed by that 2009 Stimulus Act), mind arson is coming to the suburbs to take down every school where minds are still being nourished regularly with solid content. Then where will we be? I keep mentioning consuming seed corn for a reason. What happens to a country when the cultivated famine is mental and widespread? Especially when the most able students were the particular targets for levelling. We appear to be about to find out.